It’s been a year, and the BAUUC Community Garden is still around! Not that there was any doubt about it, but it’s nice to be able to look back and consider that a once-neglected space now provides fresh produce for our families and local food banks. We’ll be having our Spring Garden Meeting soon – date and time to be posted. We’ll also try to get some energy into a couple of stalled projects and bring in a few new gardeners. Stay tuned. 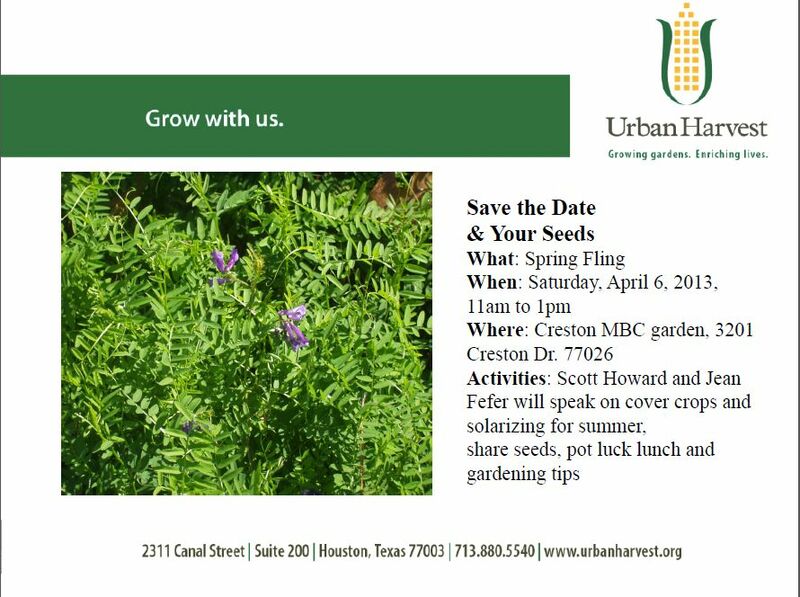 In the meantime, mark your calendars for the Urban Harvest “Spring Fling” on Saturday, April 6th at the Creston MBC Garden. It’s a chance to meet other community gardeners and share vegetable growing tips, seeds and lunch!